Welcome to Lake Berkley Vacation Villa! 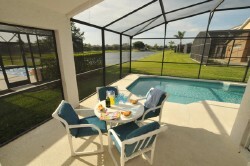 We offer two four bedroom vacation villas in the prestigious gated Lake Berkley community, Florida. The homes are fully furnished, well maintained, and complete with luxury amenities. Our Lake Berkley Vacation Villas make for the perfect family vacation rental; contact us today for reservations.